After diligently playing and writing about Link’s Awakening dungeon-by-dungeon, it’s time to siphon my thoughts down into the shallow, quantifiable, clickbaity realm of ranking. Below is my list of Link’s Awakening‘s dungeons from worst to best. I devised the final ranking based on two ephemeral and subjective criteria: how good it is and how much I liked it. Feel free to praise or critique my list in the comments, but feel even freer to post your own list. Opinions are just opinions and I’d like to see how my thoughts and feelings compare to your equally valid ones! And check out longer analyses here. Wind Fish’s Egg is a very short mini-dungeon that is defined by its wonderful final boss. Despite a blase aesthetic and lack of identity, the final battle against the Shadow Nightmares is the single greatest fight in the game. And to top it off, the ensuing cutscene wraps up the game’s story in a poignant and bittersweet manner that also features the most gorgeous artwork in the game — dazzling psychedelia that justifies the DX remake nearly as much as the Color Dungeon. No buts about it — Eagle’s Tower is the most memorable and inventive dungeon in Link’s Awakening. Conceptually and thematically, it so thoroughly integrates height into its layout and gameplay that it remains an impressive design feat in several regards, especially considering the strict hardware limitations of the original Game Boy. 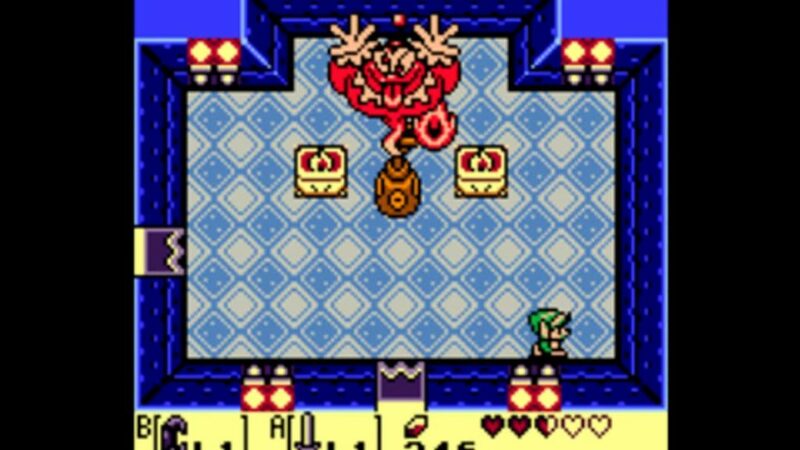 So it is for somewhat good reason much of the Zelda community holds Eagle’s Tower in incredibly high regard, with many considering it the greatest dungeon in Link’s Awakening. But conceptual genius, innovation, and uniqueness don’t necessarily make for great game design, and unfortunately Eagle’s Tower is held back by numerous practicalities. It is torturous to navigate, the manner in which its puzzles are tied to said navigation are often tedious, its enemy placement is haphazard, and its mini-boss and item are nearly nonexistent. For these reasons, Eagle’s Tower is not so much a great dungeon as it is the promise of a great dungeon, better remembered than replayed. And after playing through it multiple times in the past few weeks, I would go so far as to say it is among most overrated dungeons in any Zelda game. But with some minor changes, which may be coming in the Switch version, it could be among the best. Bottle Grotto is full of bright ideas, from its shrewd puzzle-types, to its fanciful enemy selection, to its skillful integration of an oddball bottle theme. Although many of these ideas could have been taken a step further, and the dungeon suffers a bit from lack of unity on a procedural level, it is a pleasant follow-up to Tail Cave that constantly entertains and rarely frustrates. And like Tail Cave, Bottle Grotto is a place of amusing idiosyncrasy, where Mario baddies back up a garrulous genie and a young man dons a bracelet so he can throw bottles at bunny-ghosts. A flawed gem of a dungeon, Bottle Grotto wears its vibe on its sleeve, its whimsy not bottled-up in the slightest. As a whole, the Color Dungeon is a brief but enjoyable jaunt through a space and mechanic that feels largely divorced from the rest of the game. Its item may be broken, some rooms are lacking in imagination, and its color gimmick could have been utilized a bit more deeply in puzzle, enemy, and boss design. But it is still optional content that offers a change of pace from the rest of the game while taking its theme more seriously than nearly any other dungeon. It’s an understandably divisive dungeon, deserving of some of the flack it receives, but in its deep integration of theme, multiple mini-bosses, and comprehensible layout, it also improves upon some of the other dungeons’ most glaring weaknesses. Tail Cave might lack the subtle genius and emotional faculty of Inside the Deku Tree, but it successfully imparts core dungeon knowledge while finding enough room to add some inconsistent flair. And it’s that flair, that unabashed oddness, and unpredictability, that makes Link’s Awakening so fondly remembered by fans of the series. Tail Cave is at its best when it doubles-down on its own uniqueness through its singular Roc’s Feather, wonderfully diverse and comparatively deep new enemies, and incredible mini-boss. But just as often, Tail Cave strives to be a portable A Link to the Past, and that desire often results in a bit too much rehashed design (such as its boss and other enemies) or design that does not befit a small screen (i.e. dividing individual rooms into several segmented pieces). In this regard, Tail Cave is a qualified success, linked a bit too heavily to the past and not yet fully awakened. Key Cavern is a flawed but ambitious space that might be the game’s most defining dungeon so far. Featuring a relatively complex layout including many branching paths and a plethora of keys and locked doors, the dungeon makes the most of its tidy stature by asking the player to make multiple trips through it in order to unearth all its secrets. While this is a shrewd design decision seen throughout several of the game’s dungeons, Key Cavern falls a little flat when it comes to its enemies and puzzle design, which generally feel rough around the edges and less nuanced than those of past dungeons. Still, its comparative complexity and thorough integration of its theme make for a dungeon where no space goes wasted despite many dead ends. Face Shrine is an open, colorful dungeon with a wide array of puzzles, obstacles, secrets, and enemy types that make every room unique. 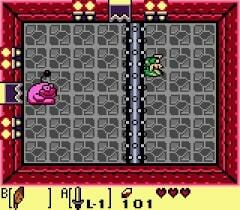 While it is too open at the start, it gains momentum in the second half, when the player discovers some of the dungeon’s navigational puzzles. Meanwhile, its combat is generally fantastic, including its enjoyable mini-boss and less successful, though conceptually ambitious, final boss. While it does little with its humorous face theme, and its item is arguably the worst in the game, Face Shrine is a better-than-average dungeon in most important regards. Turtle Rock may not be totally cleansed of the game’s frequent navigational woes, but it is the most consistently interesting and enjoyable dungeon in Link’s Awakening, both room-for-room and as one cohesive place. While most dungeons are weighed down by a glaring flaw (often concerning pathfinding or sense of place), Turtle Rock doesn’t suffer from any major weaknesses. Its steady stream of specialized puzzles and battles makes for an enjoyable and climactic near-final romp that builds off the strengths of past dungeons while also carving its own identity. While many dungeons in Link’s Awakening define themselves by a gimmick or halfhearted theme, Turtle Rock is most memorable because it is the only dungeon in the game whose ambitious but careful design straddles the line between closed and open, new and old, and too easy and too hard. It is the peak of dungeon design in Link’s Awakening, and perhaps the only dungeon in the game that measures up to the best dungeons of other Zelda titles. Kyle is an avid gamer who wrote about video games in academia for ten years before deciding it would be more fun to have an audience. When he's not playing video games, he's probably trying to think of what else to write in his bio so it seems like he isn't always playing video games.